Crystal clear waters, delicious (and we mean delicious) food, friendly locals, rich history and of course drift diving, which is a must for experienced divers, and so much more. 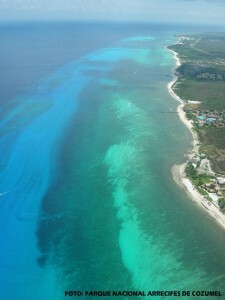 We’re going to try the best we can to fit all of the best of Cozumel Mexico into one awesome post. Here’s your next stop in our virtual destination tours: Cozumel, Mexico. Divers from across the globe travel to this beautiful island to enjoy Mexico’s unique reefs, marine life, and dive conditions. 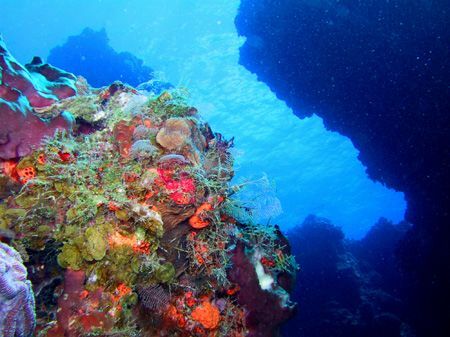 Diving in Cozumel takes place in the Meso-American Barrier Reef at the National Marine Park, which has been protecting the area for over 15 years. Depending on the season, currents vary from nonexistent to about 2 knots or so. And at times, you may be able to experience the Cozumel Drift, which allows you to partake in spectacular diving with little to no effort. What can you expect to see at the largest reef in the Western Hemisphere? Over 500 species of fish, 350 of mollusks and 26 classes of coral (100 types) inhabit this area as well as sponges, sea turtles, crustaceans, stingrays and more. 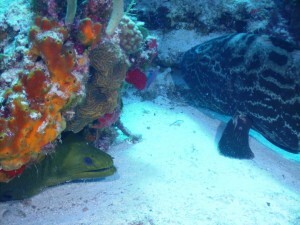 You can also see nurse sharks, small black tips, barracudas, and grouper year round. The undersea life is abundant and vibrant. The must-dos are in the Palancar reef area. It consists of over 6 miles of reefs, caves, drop offs, and tunnels. This reef alone contains 25 sites which are divided into different areas known as Horse Shoe, Caves, Bricks, and Palancar Shallow – just to name a few. Some other famous dive sites include: Columbia y Columbia shallows, Punta Sur and Santa Rosa. Cozumel also offers a series of smaller reefs that are extremely fun and have tons of marine life: Tormentos, Yucab, and Chancanaab. Cozumel offers many popular accommodation types to stay that are extremely diver-friendly from small hotels to large all inclusive resorts. Most are located on the waterfront and dive operators are either on property or will pick you up from the properties dock. There is no hype, no pretensions and the atmosphere is laid back. That’s why divers find their way here. The destination seems to be designed and built for and by divers. If you’re looking to up your dive skills, the dive operators all offer specialty courses and certifications for higher diving levels. The diving experiences are unique to every dive. But there are many other pursuits and attractions that this destination offers when you are out of the water. Got your fins perked again, huh? 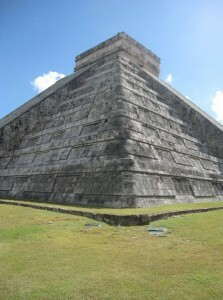 No doubt, Mexico’s FULL of rich history and culture, some of which are noted as one of the Seven Wonders of the World. But there are some wonders you can experience right in Cozumel. 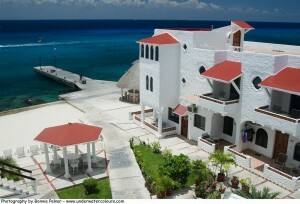 San Miguel: Cozumel’s main town is just a short walk away from many hotels. The pueblito is known for its numerous family restaurants, bars, shopping, and much more. For a more authentic Mexican vibe you can go to El Mercado (the Market), which is open daily from 6am – 1pm. There you can meet locals and shop for some Mexican food and wares. Visit El Museo (the Museum) located right on the waterfront where you can enjoy local artist works and an exhibit on Cozumel’s history and heritage. The ‘Other Side’: Looking for a different experience in Cozumel? Rent a car and head to the quiet mostly uninhibited other side of Cozumel. There you’ll find beautiful beaches, snorkeling, bars serving fresh fish, and you can even visit the small Mayan ruins of San Gervasio. Want a little more adventure? 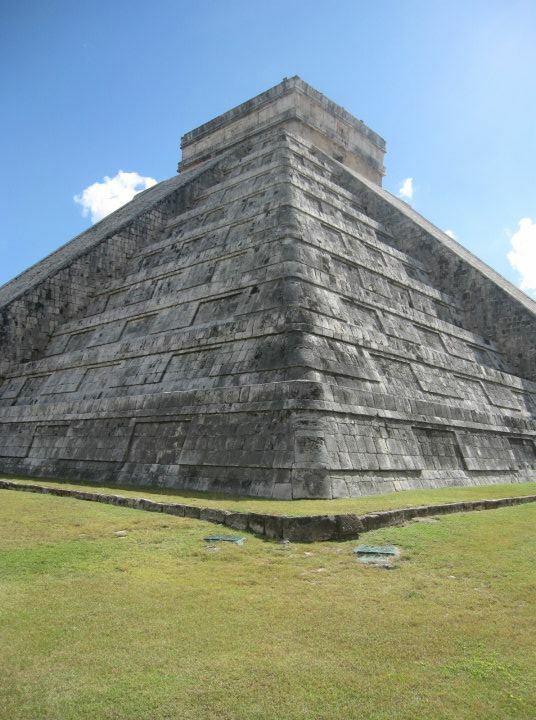 Chichen Itza: Said to be one of the new Seven Wonders of the World, and let us tell you, it IS. This site is a little further away but definitely worth the effort, as it is known as one of the most important civic and religious centers of the Mayans. X-Caret Park: One of the most noted things about Mexico other than its ruins are its cenotes, which are openings (small or large) or a lagoon to underground fresh water rivers, caverns and caves. X-Caret Park offers a magnificent archeological experience of Riviera Maya. Enjoy snorkeling in underground rivers, wild life, vibrant Mexican culture and exhibitions, beach and much more. There is much that Cozumel offers so don’t hesitate to go but be warned that once you do you’ll want to return! This entry was posted in Cozumel, Dive Travel, Dive Travel Deals, Marine Life, Reefs, Scuba Diving, Sharks, Turtles and tagged all inclusive properties, Chichen Itza, Cozumel, Cozumel Mexico, dive travel, Diving, Maduro Dive, Mexico, San Miguel, Scuba Diving, Seven Wonders of the World. Bookmark the permalink. Hello. I Am organisim à group of 20 peuples. We went to go to Cozumel for 7 day’s. I would like to have some prices. I am interested in the Cozumel diving package offer. What is the cost for a single occupancy 7 night stay for all inclusive room and diving….